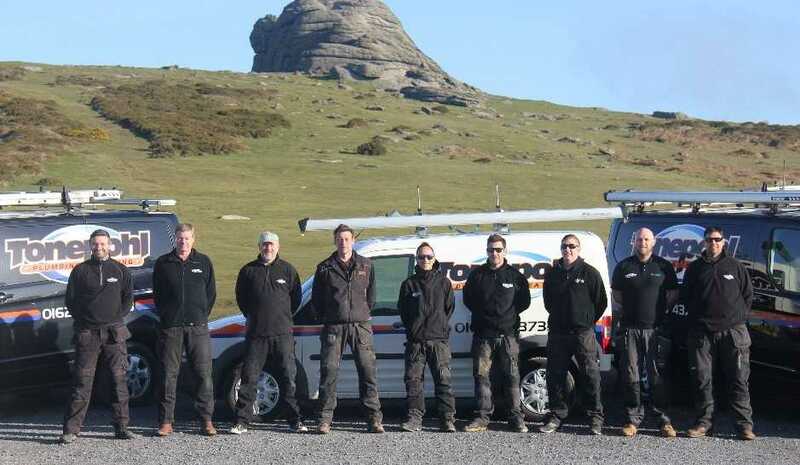 Carl started the business on his own over 9 years ago, working predominantly on Dartmoor and in the surrounding towns and villages. Customer ‘word of mouth’ and an established reputation for quality, reliability and outstanding standards has led to forced business growth and now C.R. Tonepohl has a team of nine qualified engineers with a broad spectrum of skills and over a 100 years of collective experience between them. This had led to C.R. Tonepohl being able to now offer a virtually exhaustive range of plumbing services and cover a much larger area than was possible before, form Dartmoor to the South Devon coast. Our engineers are fully qualified to work/install gas appliances. "Tonepohl are consistently reliable. Their telephone service is second to none, quickly understanding problems and acting immediately and calling back. Engineers very experienced, knowledgeable and quick to diagnose problems, friendly and don't blind you with science. Timekeeping excellent. Can't recommend this company too highly. " " I'm very pleased and indeed refreshed with the professional and going beyond attitude of this company and its staff, I would have no hesitation in recommending them. " " Very pleased indeed. During a site visit the work and costs were fully discussed and agreed in advance. On the day of the work they were prompt, very competent, honest, friendly and tidy. No hesitation whatsoever in recommending and will certainly use again. "